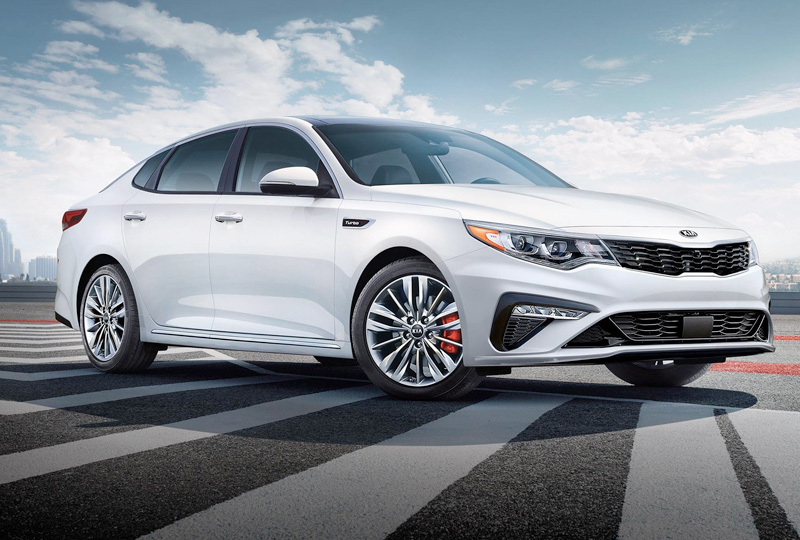 You'll find amazing deals on a new 2019 Kia Optima at Briggs Kia; plus, new auto loan rates are at their lowest in years. We've got incredible offers that you have to see before they're gone. Visit the dealership today at 3137 S Kansas Avenue, Topeka, KS, and take your Kia test drive. 2 Safety features are not substitutes for safe and attentive driving. See Owner's Manual for important details and limitations. 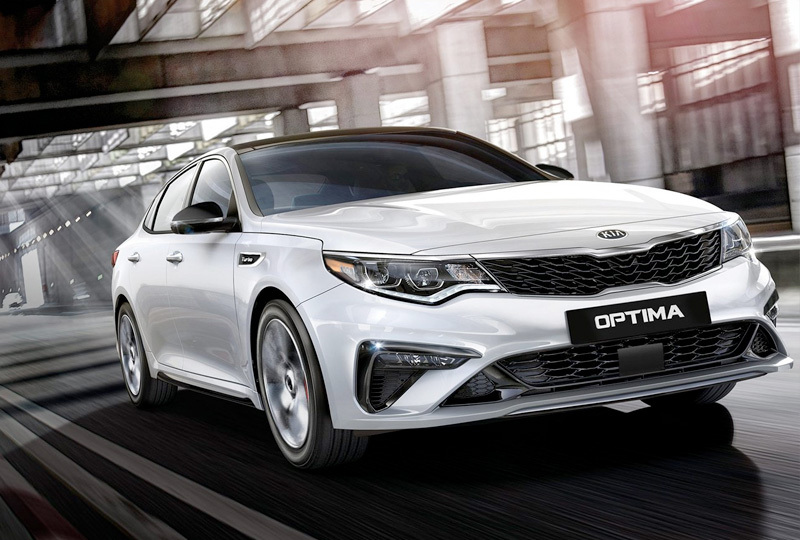 Optima's new sportier styling for 2019 is punctuated with a striking front and rear fascia, complementing Kia's signature tiger nose grille. The iconic Optima has undeniable style that commands attention on the road. No matter which trim you choose, you'll be pleasantly surprised by the power and fuel efficiency built into every Optima engine. The EX trim includes a 1.6 liter Turbocharged engine with a 7-Speed Dual-Clutch Transmission (DCT) for those seeking a balance of efficient, real-world power with fuel economy. The SX offers the 2.0 liter Turbo with steering-wheel-mounted paddle shifters for ultimate performance and control, and a sport-tuned suspension for a stronger connection to the road. 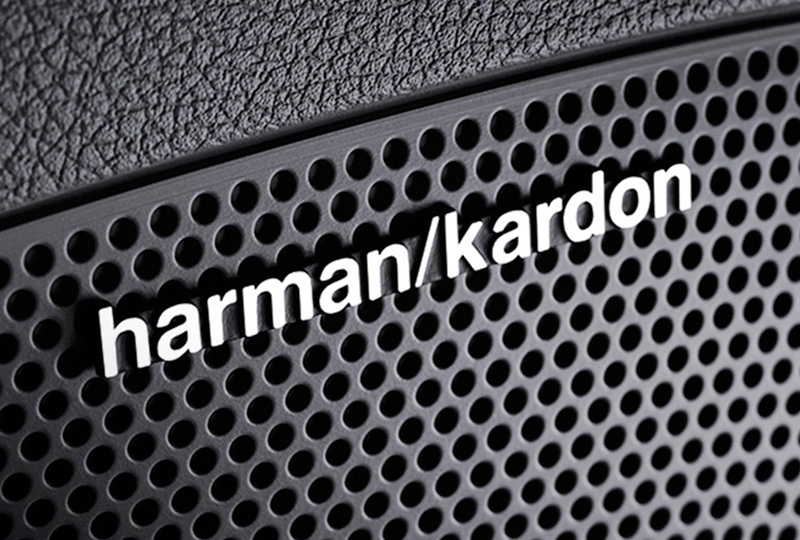 Available Harman/Kardon® QuantumLogic™ technology transforms the Optima cabin into an astounding 7.1 channel surround sound experience through 10 speakers and 630 Watts. Clari-Fi™ restoration technology delivers music as it was intended to be heard. Listen to the Clari-Fi™ difference here. 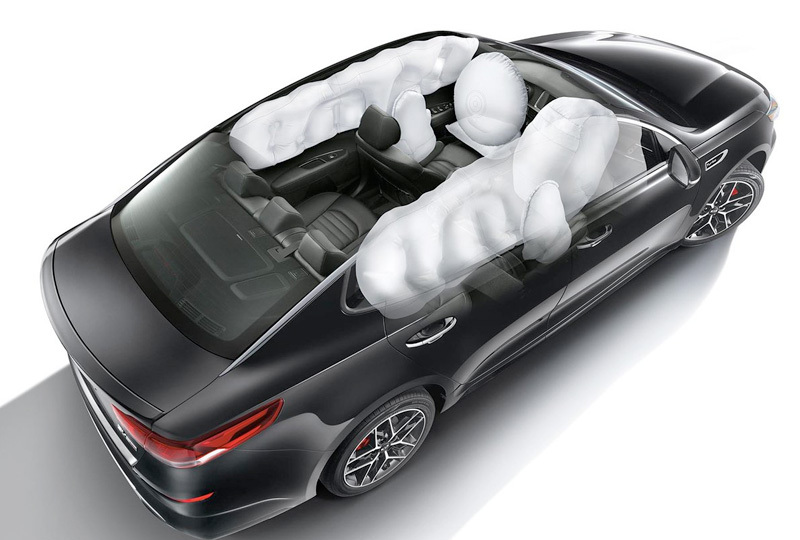 The Optima embodies Kia's continued commitment to safety. It comes standard with advanced passive safety features, like the comprehensive airbags and seat belt systems, built to be your first line of defense in any crash.